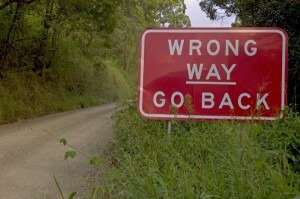 It is often claimed that either you are going forward or backward in recovery; standing still is not really an option. This is why it has also suggested that recovery should be looked upon as a process rather than an event as there is always more work to be done. It is important that you are able to monitor your progress in recovery in order to ensure that you are moving in the right direction. What Does It Mean To Move In The Right Direction? Giving up alcohol or drugs means there is likely to be some significant improvements in your life right away. There is probably going to be noticeable and regular positive changes to your physical, mental, and emotional well-being during the first few weeks of recovery but then things may appear to slow down. This is normal and does not mean that you are no longer moving in the right direction. Moving in the right direction means that that your life is (generally speaking) improving over time. It does not mean that there will be noticeable improvements every day or even every week. There will still be days when you feel stuck or even as if you going backwards, but these bad times only last a few days. If you can compare where you are now to where you were this time last year and see that things are improving, this means that you are likely moving in the right direction. Going backwards in recovery means that things are starting to deteriorate. It is not about having a bad couple of days; it refers to a general trend of a downward trajectory in your life. Recovery can be defined as moving away from addiction, so going backwards means moving back towards addictive behaviour. The most obvious danger of this deterioration is that it greatly increases the risk of relapse. unwillingness to seek help for their problems. People start to go backwards in recovery after they become stuck, feeling unable to get unstuck. What usually happens is the person hits a challenge in recovery that they feel unwilling to face. This inability to deal with things is often the catalyst for addiction in the first place; when it happens in recovery is that it can drive the person to choose new addictive behaviours. It is not possible to make any more progress in sobriety until the challenge is faced. So long as the person remains stuck, their life will deteriorate until they either relapse or develop dry drunk syndrome. Becoming stuck in recovery is very similar to a life in addiction. The fact that the person is not willing to face things means that they begin to feel powerless again; their level of self-esteem and self-efficacy begins to decline. The individual is also likely to feel a great deal of guilt as it becomes obvious that their life is getting worse despite the fact that they are physically sober. The individual may feel justified in deciding that they might as well just relapse given that their life in recovery is so unsatisfying. They may even use this experience as evidence that sobriety will never work for them, so after relapsing they are doomed to living the rest of their life as an addict. you are looking for justifications to relapse. It will not be possible to become unstuck in recovery unless you take action. The key is to deal with the issue that originally led to you becoming stuck in the first place. For example, if you stopped making progress in sobriety because of your unwillingness to deal with resentments, you need to tackle this issue now. It can be difficult to dig down to the root cause of becoming stuck in recovery without help. It may be necessary to seek out a therapist; those individuals who belong to a group like Alcoholics Anonymous can turn to their sponsor. An outsider would be able to give a more objective assessment of the situation, which can often be crucial. begin keeping a journal so you can track your progress as you become unstuck.